Set among rows of Cabernet vineyards, the Napa Valley Lodge is a Wine Country hub that serves as the perfect launching point to one of the world’s most desirable destinations. With three distinctively styled event venues, our Tuscan farmhouse setting is a perfect backdrop for executive meetings, corporate retreats and other events for up to 50 guests. Our staff is always close at hand to ensure your event is flawless. 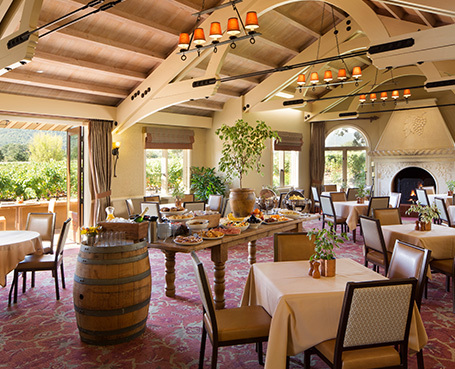 We are pleased to provide excellent breakfast and lunch options and to make dining arrangements at one of Yountville’s award-winning restaurants. Known as the “Culinary Capital of the Napa Valley,” Yountville is home to more Michelin stars per capita than any city. Allow us to arrange a chef’s tasting menu of farm-fresh favorites crafted by the region’s most talked-about culinary masters at one of our world renown restaurants or wineries, organize a wine-tasting expedition to meet local vintners, or a day exploring the town’s shops, galleries and culinary-inspired stores on foot or bike. We also offer a full range of state-of-the-art audio visual equipment, including projection and presentation service, as well as audio and conference call services. 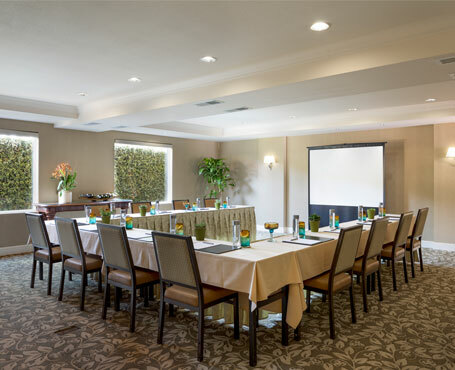 All of our event venues and 55 guestrooms are fully equipped with complimentary wired and wireless Internet. 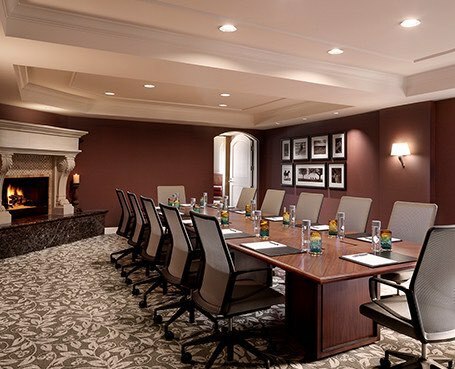 This stately room has an elegant stone fireplace and an expansive conference table with executive-style leather chairs. It comfortably seats 12 in the traditional boardroom configuration. This exquisite venue can be adapted for a variety of different events, including meetings, receptions and private dinners. It can accommodate groups up to 32 people. A sophisticated but relaxing venue, Vintage Hall has a beamed, vaulted ceiling, Italian stone fireplace, and vineyard-view patio. 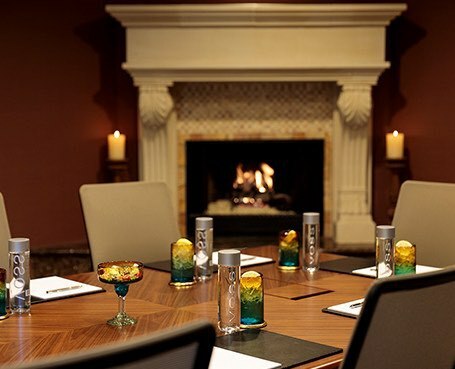 This architecturally distinct setting is ideal for executive retreats, board meetings, receptions and private dinners for up to 50 people.